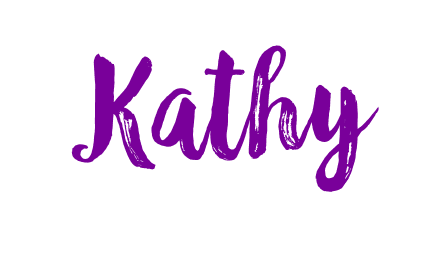 April 17, 2019 My Library is Closed for Testing - Now What? February 24, 2019 Research Projects with What Do You Do With a Tail Like This? Teacher collaboration can be difficult in the best of situations, but if you are on a fixed schedule this can be even more challenging. 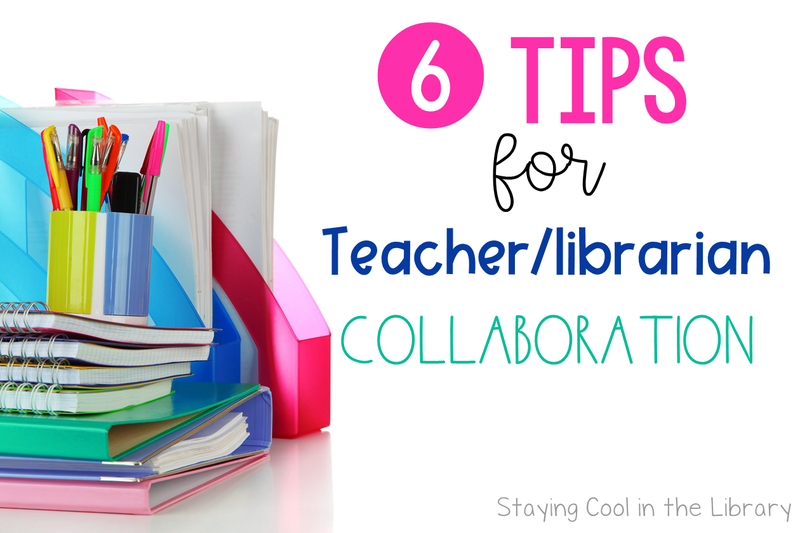 When I was working on my Master's degree I took an entire class on collaboration one summer. When I went back to school I was so excited to implement what I learned. I scheduled a meeting with my principal to discuss strategies to increase collaboration with teachers. My principal's solution? To make it mandatory that every teacher collaborated with me at least one time during the school year and to provide documentation to show what we did. Well, I'm sure you can imagine that went over like a lead balloon. One of the biggest issues was that I had no time to meet with teachers. Their planning time was during specials so it was hard to sit down and plan together. And I was not as prepared as I should have been. I should have been armed with a list of specific services I could provide and concrete examples of how we could work together. Luckily my principal forgot about this project and it just fizzled out. But I took what I learned and adapted my approach and thinking. Below are some tips and ideas that I have used and that have worked well for me. 1. Choose one teacher who you have a positive relationship with. 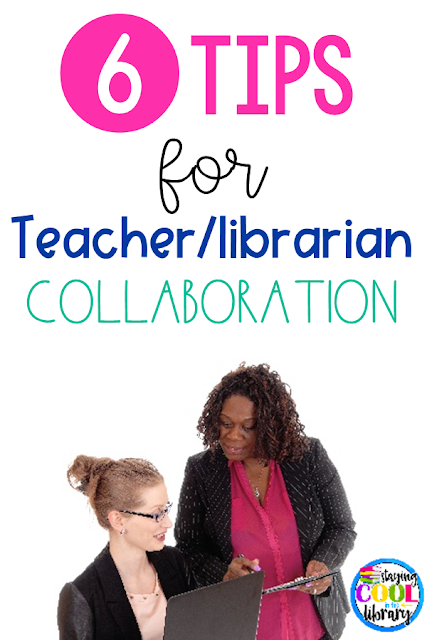 Approach that teacher with an idea of a collaborative project. Be ready to provide details on why she should work with you and how it will benefit her and her students. You want to make sure this is a successful collaboration. Once you do this a few times other teachers will see this and be more inclined to work with you as well. 2. Clear and effective communication is key to ensure a successful experience. Make sure both you and the teacher understand the goal of the lesson and know what the expectations are for each of you. Who is responsible for what aspect of the lesson? What materials are needed? Where will the lesson take place (the library or the classroom?) Feedback after the lesson is completed is also important. Finding time to meet and plan out a lesson with teachers is also a huge challenge. There is never enough time in the day to accomplish all the tasks educators have to do. And since you will likely have a different planning time then the teachers this can become even more of an issue. Clear and concise communication will help to make the whole process run smoother. 3. 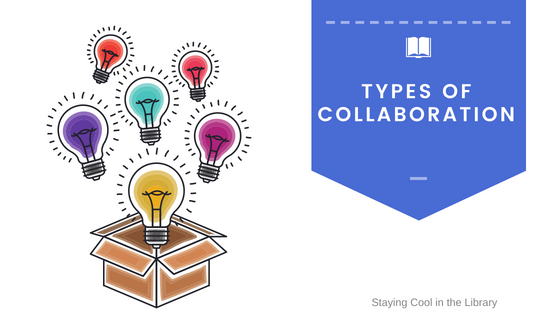 Keep in mind that collaboration comes in many different forms. It is not always a complicated research project that will take weeks to complete. 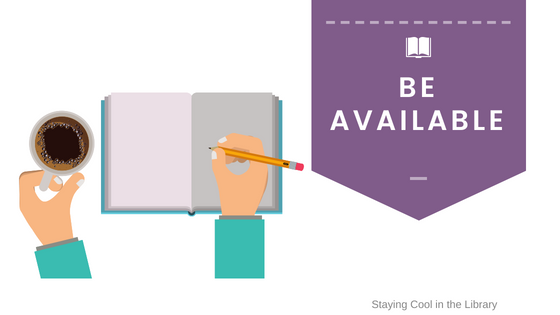 It can be simply providing a list of books or digital resources on a topic. Helping a teacher choose a read-aloud or a book set to use in small groups. Or showing students how to search for and find mystery books to complete a genre activity. All of these things are collaboration and they are all important. 4. Eat lunch in the teacher's lounge and attend curriculum and grade level meetings if possible. Don't hide at the back of the room during meetings. The more you interact with teachers (both in a formal and informal setting) the more likely collaboration will take place. If your school uses Google Classroom you can ask to be added to grade level team drives. This way you can see what classroom teachers are working on, share lessons and ideas and plan together. 5. 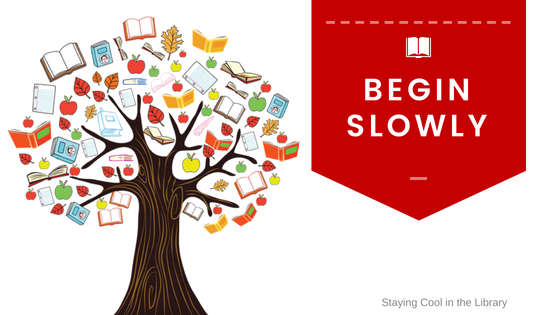 Read the curriculum maps and pacing guides for your school. Know what resources you have in the library that will meet the needs of your teachers and students. Be ready to provide quick answers to questions like "do you have any fiction books on Ancient Greece" or "do you have biographies that my first graders can read?" Now I'm not saying you have to memorize every book in the library and know what every grade level is teaching every minute of every day. But being knowledgeable will show your committment to your students, teachers and the school. 6. You will want to keep track of not only of the collaboration lessons but also all your ideas, resources and notes. I suggest making a dedicated Google folder to keep everything in. Not only will you be able to access it from anywhere but you can also easily share a document with teachers. Another idea is to use Google Keep. Google Keep is an organizational and note-taking platform where you can create lists, take notes and save websites and images. 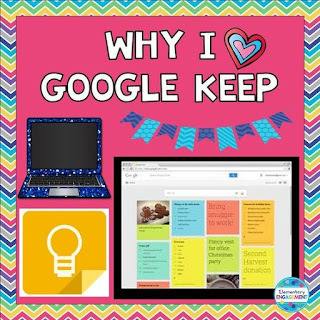 Here is a blog post from Elementary Engagement on using Google Keep if you are unfamiliar with it. I wanted to find a way to show teachers ways that I could support them and assist them with their instruction. So I created a "menu" to hand out at the beginning of the year. I'll be honest and say that I did not come up with this idea on my own, I read about it on social media. But since I started using it I have found it to be a very successful tool. 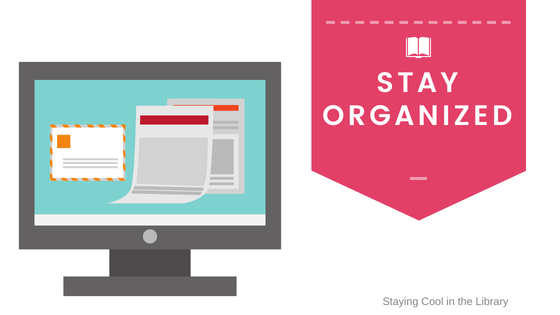 You can include anything you would like in there and you can update it periodically throughout the year. Below is a sample of one I made using Canva. 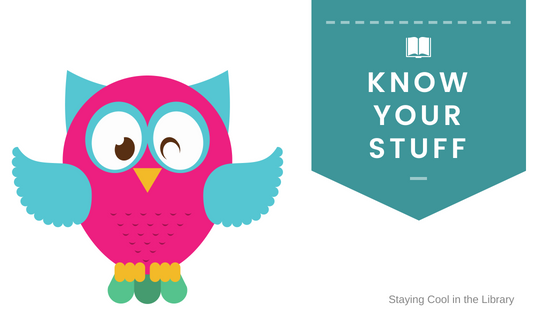 If you haven't used Canva before you have to check it out. It is a free tool that allows you to create thousands of digital and print designs. And you can't just send something out only at the beginning of the year. 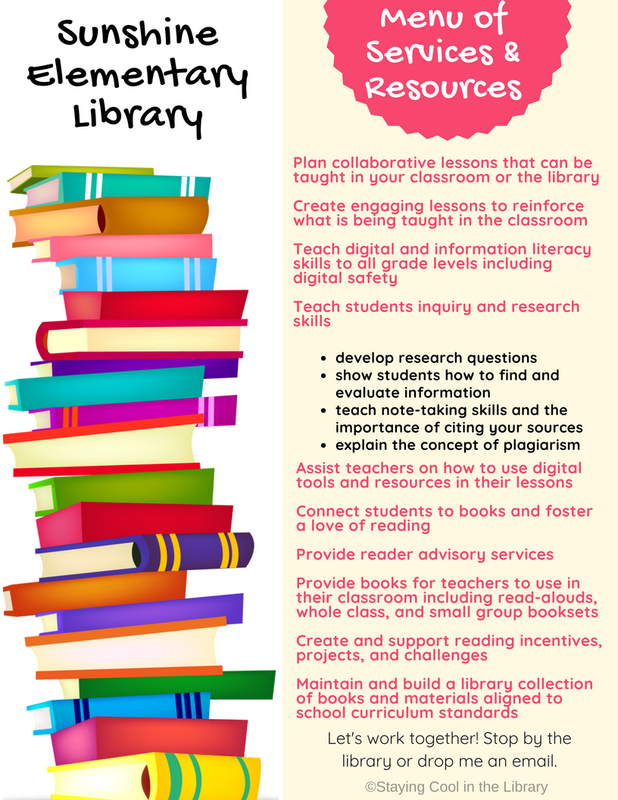 Remind teachers periodically about what is going on in the library, the different services you offer and what types of projects and lessons you are working on. Creating a monthly newsletter is one of the best ways to achieve this. There are many different online tools you can use so you can send it electronically. Smore is a great option. It is free but only for a limited number of newsletters. Piktochart and Lucid Press are some other options. You can also create it in Publisher and save it as a .pdf. I created a sample collaboration form for you to download and use. It includes some basic questions a teacher can fill out when they wish to schedule a lesson or project with you. You can edit the question however you need to. I added to the files section of the resource library. You can download it from there. Reminder, the resource library is only available to newsletter subscribers. If you haven't signed up yet, click the link at the top of the page. What questions do you have about collaboration? Do you have any advice or suggestions to contribute? Let's continue the conversation. 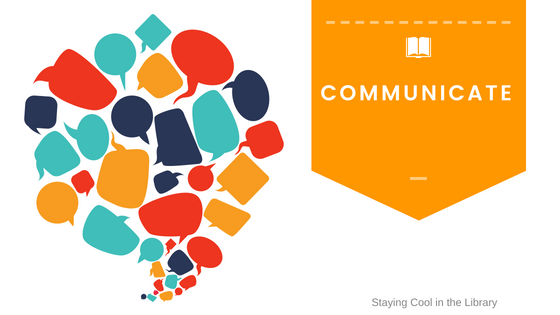 Drop a comment or head over to the Staying Cool in the Library private Facebook group. This is a safe place to share and discuss all things library.